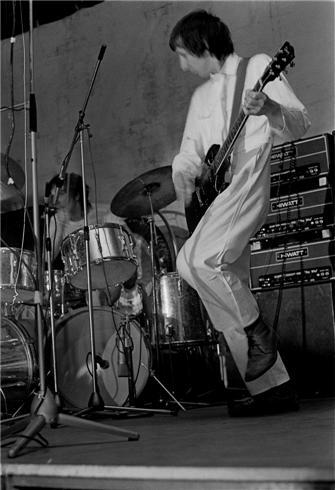 The Who at Leeds for their greatest live in 1970! it’s the ONLY VIDEO of this concert! 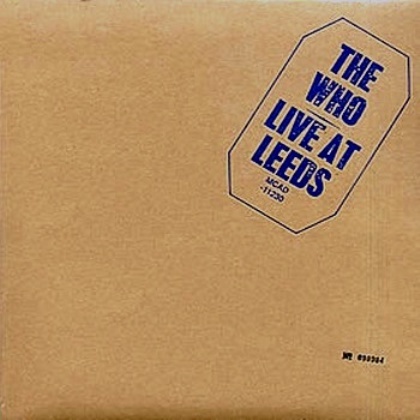 Live at Leeds is The Who’s first live album, and is the only live album that was released while the group were still actively recording and performing with their best known line-up of Roger Daltrey, Pete Townshend, John Entwistle and Keith Moon. Initially released in the United States on 16 May 1970, by Decca and MCA and the United Kingdom on 23 May 1970, by Track and Polydor, the album has been reissued on several occasions and in several different formats. As of 2005, the album is ranked number 170 on Rolling Stone magazine’s list of the 500 greatest albums of all time. The album has been cited as the best live rock recording of all time by The Telegraph, The Independent, The New York Times, the BBC, and Rolling Stone. It is included in the book 1001 Albums You Must Hear Before You Die, and in Q magazine’s list of Loudest Albums of All Time. A Rolling Stone readers’ poll in 2012 ranked it the best live album of all time. 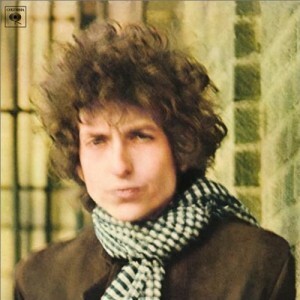 The original LP was released on 16 May 1970 in stereophonic format. The album was reissued on Compact Disc in 1985 by MCA in the US, and in 1987 by Polydor in Germany. In 1995, the album was reissued as a remixed CD including more songs than the original vinyl edition, as well as song introductions and other banter that had been edited out of the original release. For the remix, new vocal overdubs from Daltrey, Townshend and Entwistle were recorded to address occasional flaws in the original tapes or performances. In 2001, the album was released again as a part of the Universal Deluxe Edition series. The Deluxe Edition includes more chat between the songs, and the entirety of the band’s Tommy set as performed at Leeds. Again, new overdubs from the vocalists were employed at select points. In October 2010, Universal Music announced the impending release of a 40th Anniversary edition of the album which would not only contain the full Leeds show from 14 February 1970 but also the band’s complete performance from Hull which was recorded the following evening as well as a heavyweight vinyl reproduction of the original six-track album, memorabilia and a replica 7 Inch Single of ‘Summertime Blues/ Heaven & Hell’. This performance had previously been unavailable because of a problem with the recording of John Entwistle’s bass guitar on the first six songs. To fix this problem his performance at the Leeds show was overdubbed over these tracks of the Hull performance using digital technology. 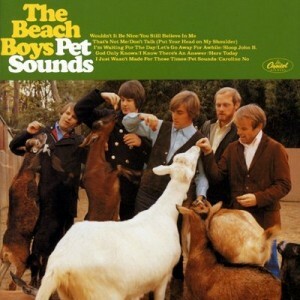 Pet Sounds is the eleventh studio album by the American rock band the Beach Boys, released May 16, 1966, on Capitol Records. It has since been recognized as one of the most influential records in the history of popular music and one of the best albums of the 1960s, including songs such as “Wouldn’t It Be Nice” and “God Only Knows”. Pet Sounds was created several months after Brian Wilson had quit touring with the band in order to focus his attention on writing and recording. In it, he wove elaborate layers of vocal harmonies, coupled with sound effects and unconventional instruments such as bicycle bells, buzzing organs, harpsichords, flutes,Electro-Theremin, dog whistles, trains, Hawaiian-sounding string instruments, Coca-Cola cans and barking dogs, along with the more usual keyboards and guitars. 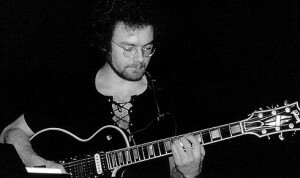 Robert Fripp (born 16 May 1946) is an English guitarist, composer and record producer.As a guitarist for the progressive rock band King Crimson, Fripp has been the only member to have played in all of King Crimson’s line-ups from the late 1960s to the early 2000s. He has also worked extensively as a studio musician, notably with singer David Bowie on the albums “Heroes” and Scary Monsters, and contributed sounds to the Windows Vista operating system. 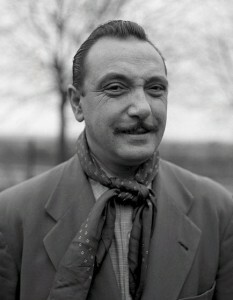 His completediscography lists more than seven hundred releases over four decades.